This Tamil month of Margazhi conjures up different experiences . Sanctums in almost all temples open in the small hours blaring songs to wake up people early. 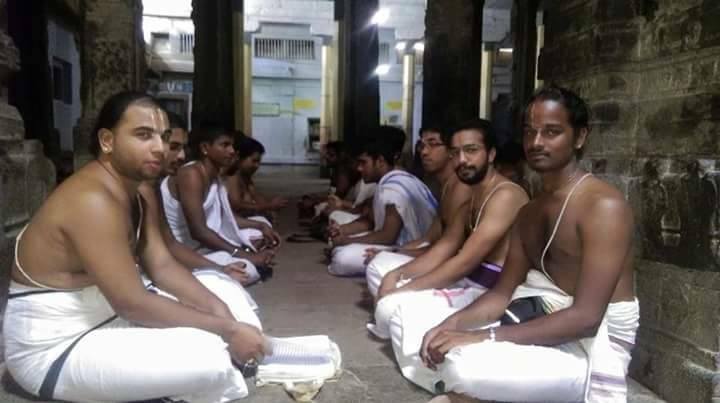 The devotees make pre-dawn visits to have darshan at the temples. The colourful kolams ( rangolis ) at the entrance of the houses and temples before sun rise with flowers adds to the devotional spirit. This month is entirely devoted to devotional and spiritual activities. 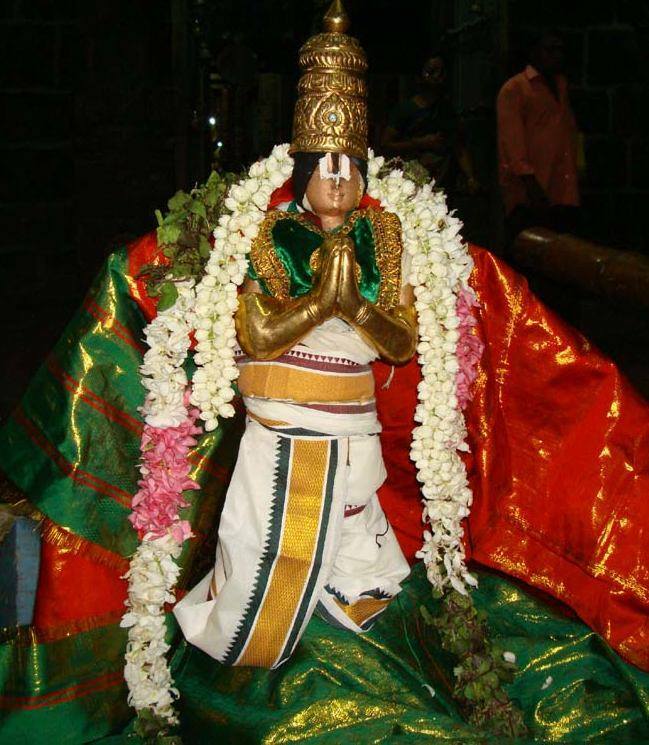 The only divya desams where Perumal, Azhwar and Naachiyar had done thiru avatharam is the holy shrine Srivilliputhur near Madurai . 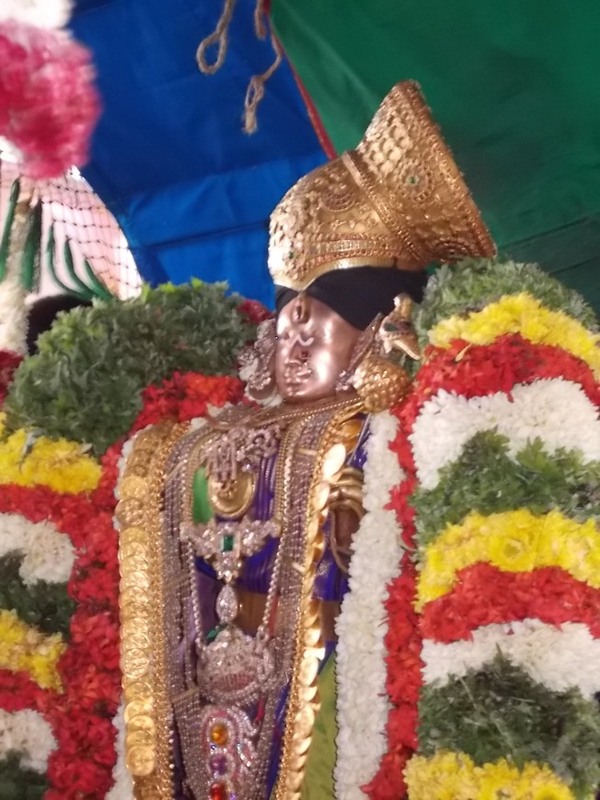 Also our mother Andal came from Moolasthanam to garbagruham to welcome Swami Ramanuja and addresses our JagathAcharyar as Anna and hence during margazhi utsavams, Swamy Ramanujar is welcomed as ” aruLapAdu Koil Annan” . 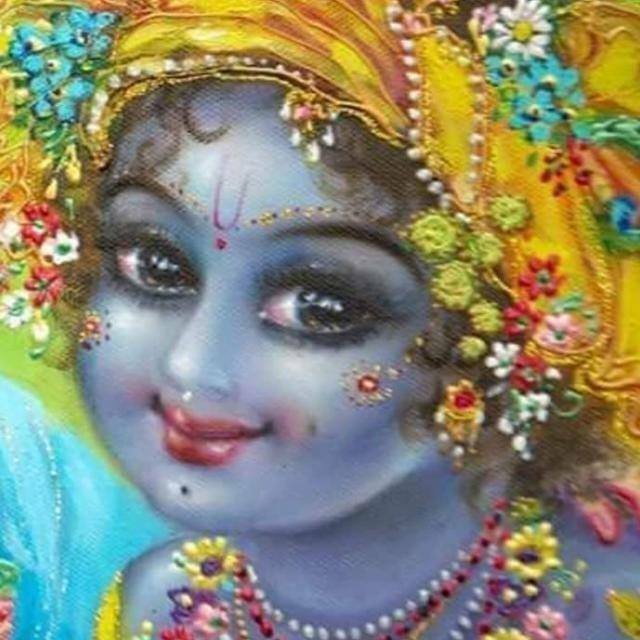 And importantly not like other Nachimaars, for whom birth place is different from the husband’s place, Andal has both these places as the same place. This is another specialty for Sri Andal . 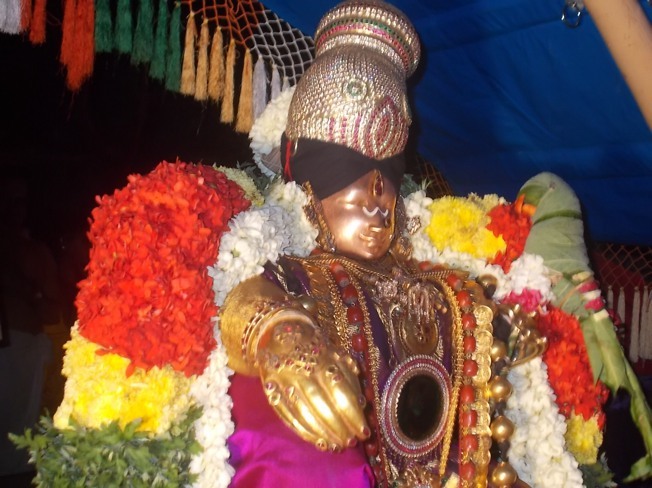 Mother Andal has given sama asana, Thiruvaradanam, amudhu seithal together to Peria Thiruvadi ( Sri Garudazhwar ) during the month of July August …. By this, She proves the kalayana guna of treating her devotees in par in taking them to the lotus feet of Lord . 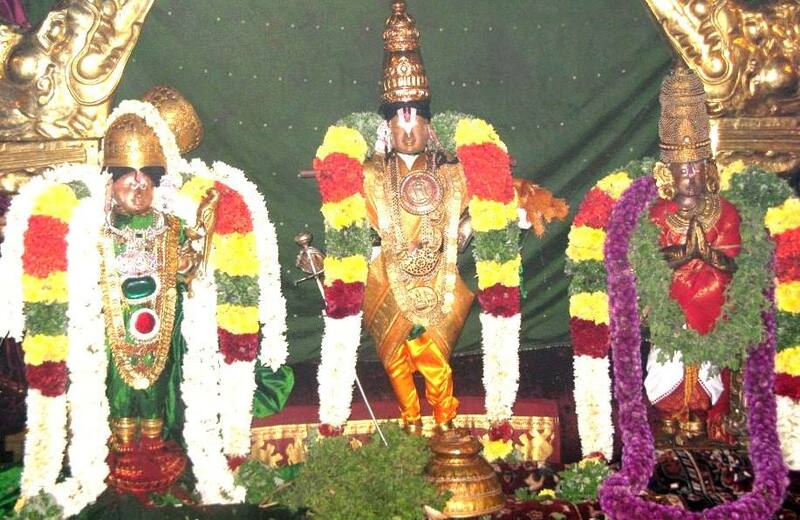 Another speciality in Srivilliputhur is that, Sri Periazhwar has done ThiruAradhana kainkaryam to mother Andal here. 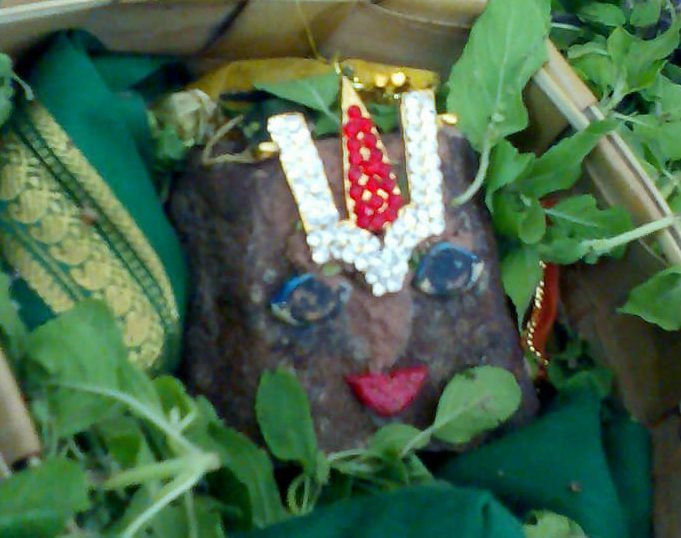 This is the a rare specialty compared to other Andal sannidhis. 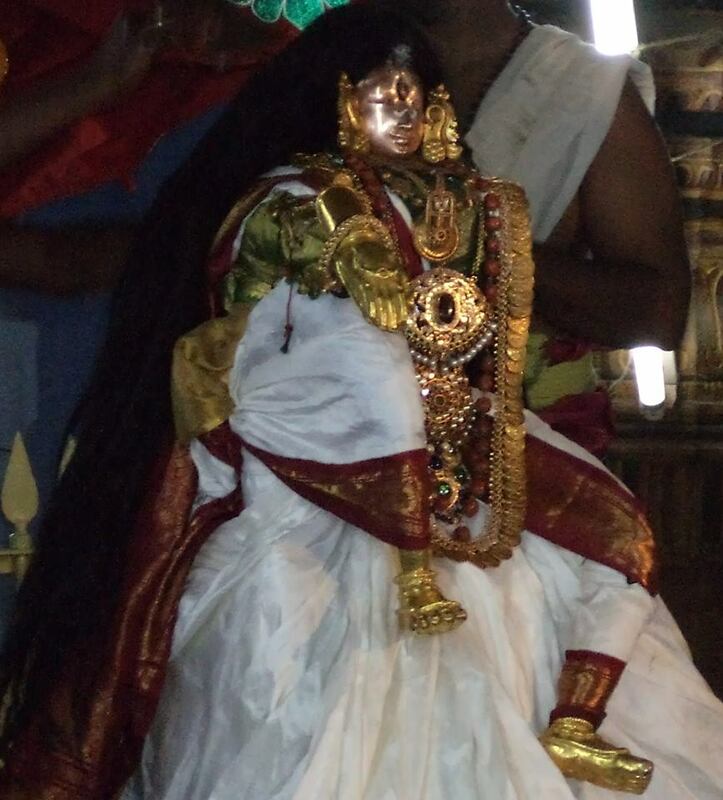 Our Jaganmatha Andal after singing the immortal poem “Thiruppavai,” goes for a well deserved sleep. Lord appears in her dream. A pleasant dream of divine wedlock. It is also a pleasant dream of number of emissaries carrying her message of love to her beloved Lord of Dwaraka. In the transcendental mood , suddenly . 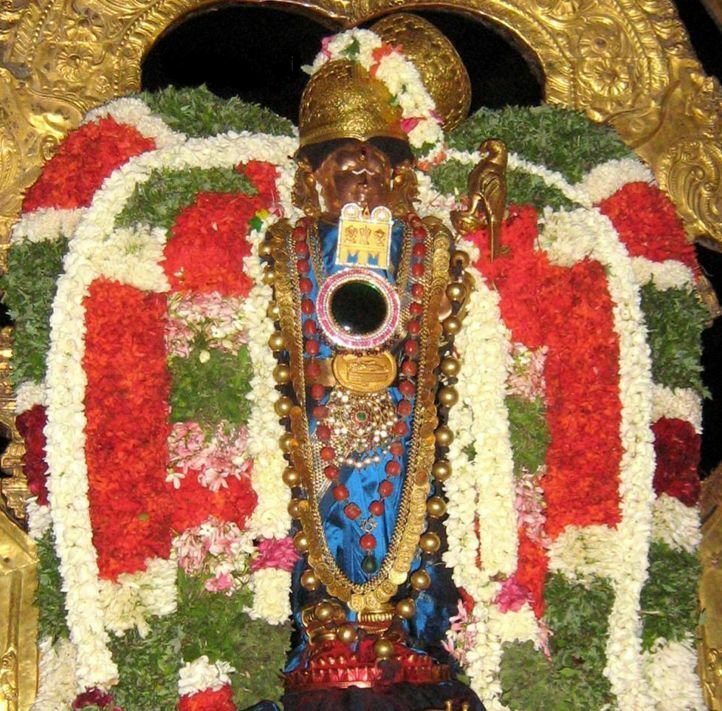 Mother Andal wakes up and recollects the divine experience …. 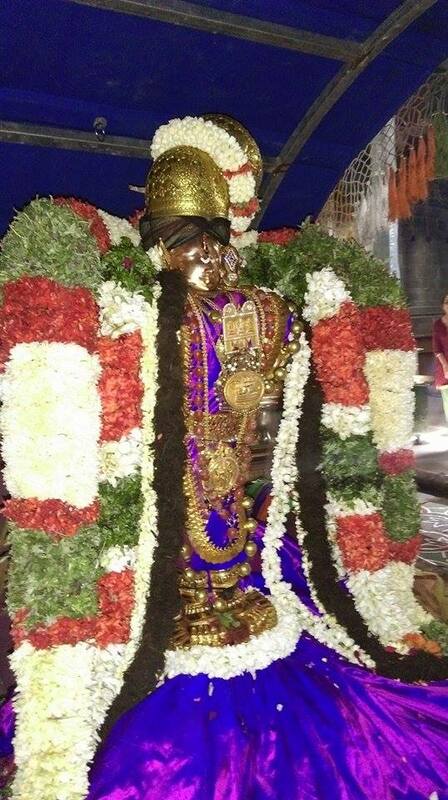 Lord advises Andaal once again to sing one more song as pleasant as Thiruppavai. Did you not seek the ‘kingdom of service’? and I want you to continue your song”. Andaal had no qualms about it. She decides to sing what she had dreamt. Thus was born the immortal ‘NACHIYAR THIRUMOZHI ’ of one hundred and forty odd wonderful hymns. 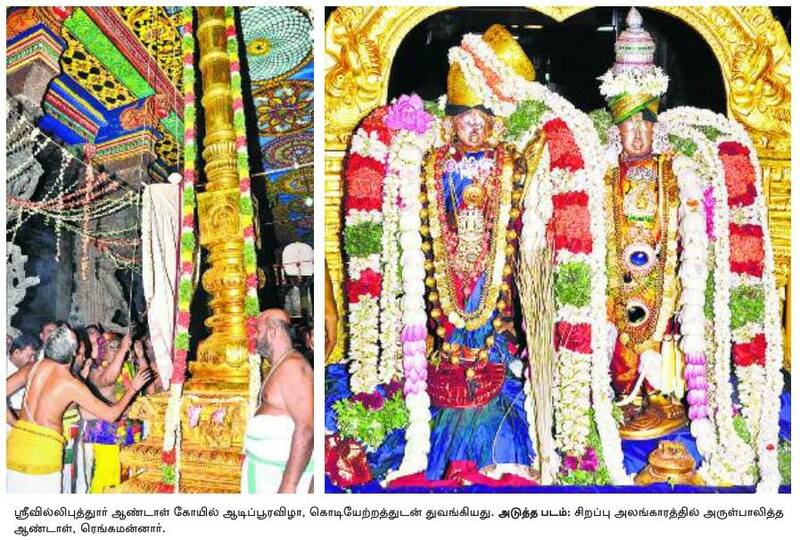 This parrot is made of special leaves every day and presented to the Lordships Presiding Deity , Andal at Srivilliputtur. 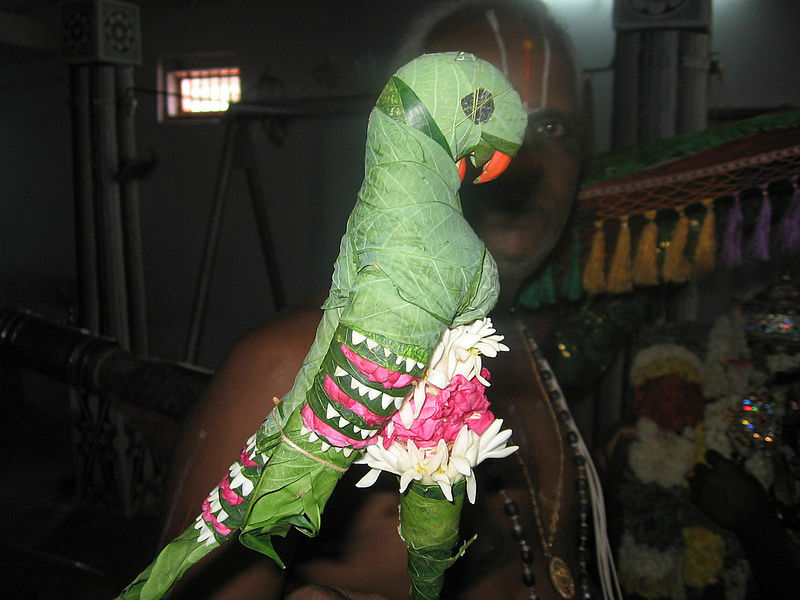 This parrot is made every day with leaves and kept In the left hand of Sri Andal. 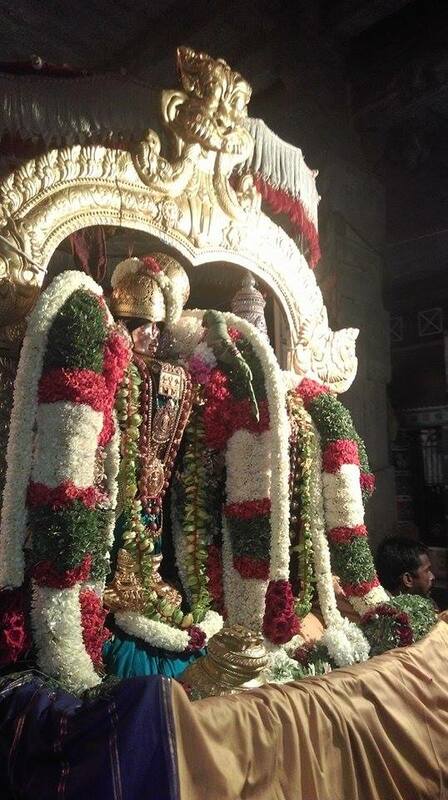 At the end of the day, It is given to devotees who seek for blessings ….‘ Kili viDu Thuthu’ is a genre in Tamil. Andaal is said to have sent the parrot to Lord Sriman Narayana to express the message of her love. The Lord listens to her wonderful hymns with utmost interest and enjoys every bit of it. How can we ever know the dream of Andal if she had not chosen to tell us? Are not dreams in the personal domain of the individual? 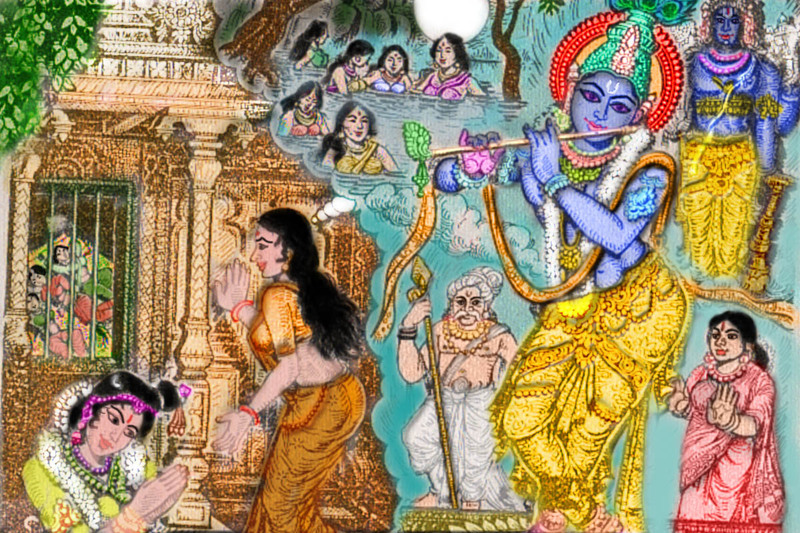 Only after Andal had sung the two immortal songs, does the Lord arrange for the marriage retinue to call on her father and urges him to wed his daughter for him at Sri Rangam. Andaal’s entry into eternity,through the temple of Sri Rangam is a sequence of fascinating events. Its a constant reminder for jivatmaas to seek Paramatmaa . May we be privileged to have a relationship with YOU and YOU only ….. Previous postKooresa ..The most advanced srivaishnava ..
pasuram 29 sums up eleggantly the spirit and sentiment of the pasuram. Thanks. Hari Om! 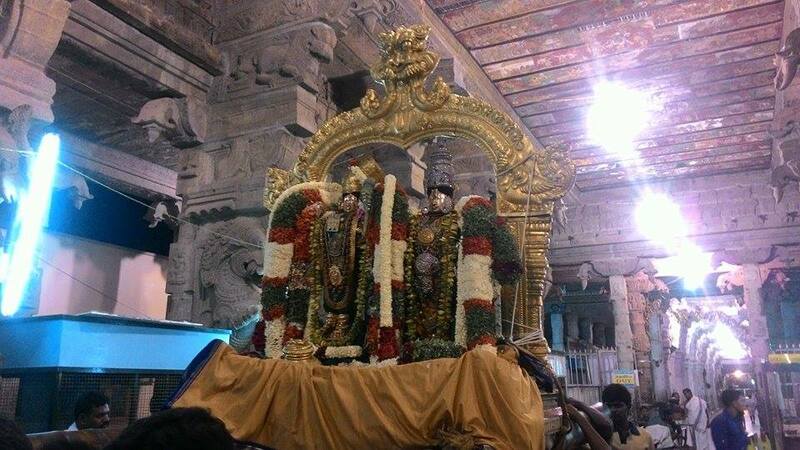 What an Enchanting Glorious Darshan of ANDAL?